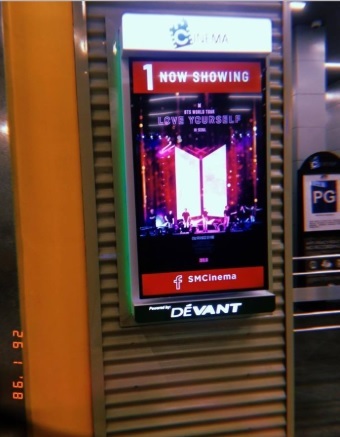 This is an ARMY’s review/experience of the documentary movie “BTS Love Yourself Concert in Seoul”. It may contain spoilers. Hence, if you haven’t watched it yet, you may want to stop reading now. This post is not actually a film review but more of a recount of the bits and pieces of memorable and happy events during the screening. I attended the last showing, as all seats were sold out for the other screening schedules. For the last full show, there were more or less 15 vacant seats; nevertheless, the theater seemed full because of how ARMYs interacted and participated in the ‘concert’. As usual, the appearance of Bighit’s logo was applauded by the audience. This may be because it indicates that the Bangtan Boys would come next. I noticed that there were two families with both parents present. There were teens and 9 to 12- year old kids. There also ajummas and yes – oppas. The audience was diverse from all ages and walks of life. If I had brought my 6 year old grandkid- she would be the youngest, and I would be the oldest. It was my first BTS “concert”, and it was everything I imagined it to be – and more. It was like we were really in Seoul with the other ARMYS cheering for the boys, at the concert’s pit. I witnessed the rivulets of sweat streaming down their handsome faces, and their ragged breaths as they struggled for air. Now, I can understand how other ARMYs felt when they are in concerts. The air is electrified and you don’t have any option but to sing and dance to the enticing beat of their songs. Two hours went by in a flash, and before I know it the ending credits rolled in. I felt it was too short. I wanted more. And I waited for the part where they talked to ARMYs, but it wasn’t included in the cut. I was also waiting for “Not Today”, “No More Dream”, and “Dope” but they were not featured. I’m not sure whether the cinema has cut the film short or the two songs were not actually part of the repertoire. 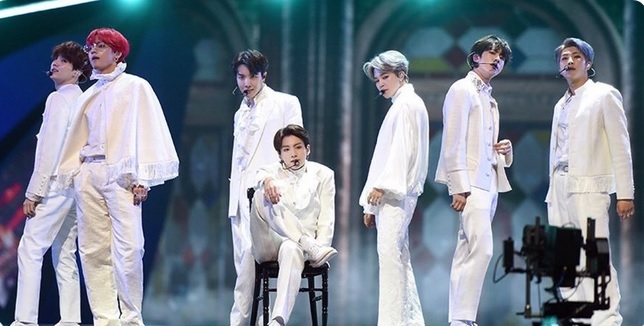 “So What” made ARMYS dance to the song and those in Seoul seemed to be one with us in that small theater, as their Bangtan Bombs bobbed wildly in the air in sync with the music. The spectacular scene was magical! I was the only one who clapped after Jin’s beautiful rendition of “Epiphany.” Most probably this is because of the genre of music that I was exposed to during my golden years. Or, they may have also been silent in their admiration of the heartwarming and soulful performance of the songs. At the end of the BTS movie, everyone clapped (no screams) in admiration of the boys, who have showed their sincerity and love for ARMYs all over the world. It’s my first time – ever – to attend a BTS concert, and any concert for that matter, but it’s one of the most memorable events in my life as a senior citizen. Thank you, Bangtan Sonyeondan for the glimpse of happiness that you have brought to my twilight years.